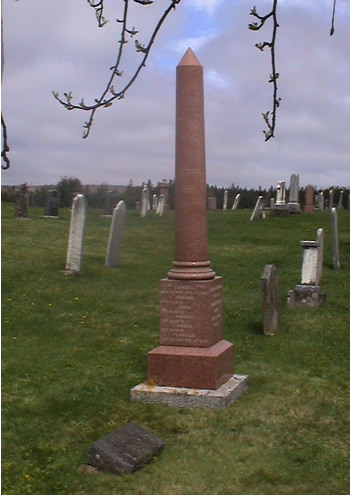 There is what can only be called a monument to Samuel and Martha Tupper's family in the Old Middle Stewiacke Cemetery. It is beautiful red granite, and impossible to miss, as it is just next to the highway that runs through town. The front has Samuel's information, the back Martha's. Too bad Martha's death date isn't completed. The other two sides list their sons and daughters. 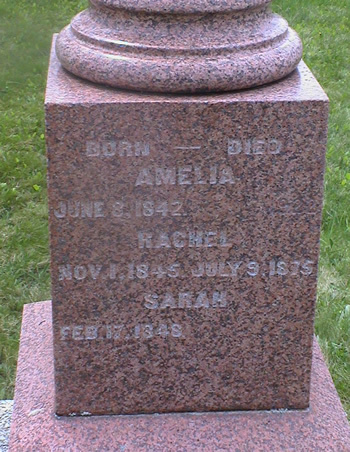 All the dates on the monument predate the death of Samuel, except for one, the death of their daughter Amelia. 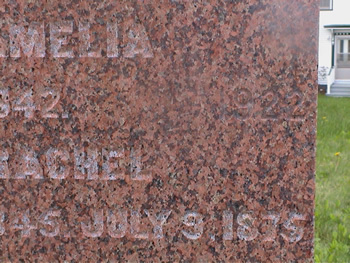 It is difficult to see, so here's a detail of Amelia's death date.